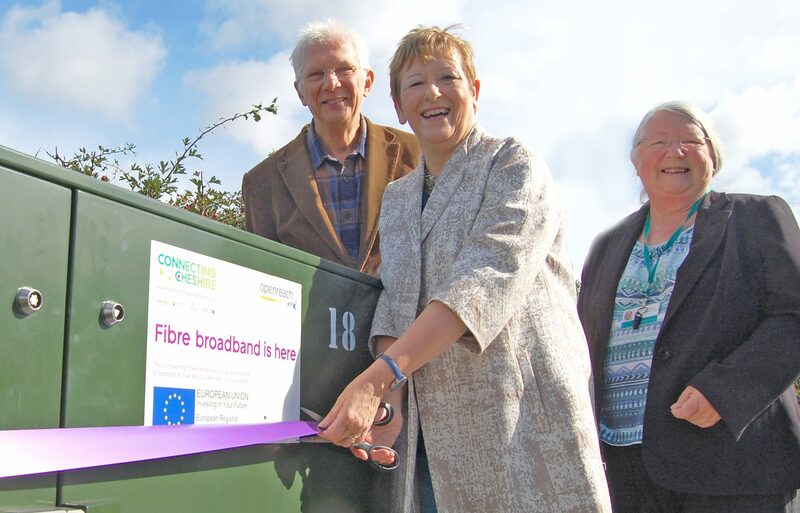 Helen Jones MP for Warrington North joined local Councillors to cut the ribbon on the new fibre cabinet for the village. Over 60 premises in the vicinity can now benefit from faster broadband thanks to the Connecting Cheshire Partnership of four local authorities across Cheshire. Across the Warrington North constituency, approx. 99% of premises can now access superfast speeds of over 24Mbps.